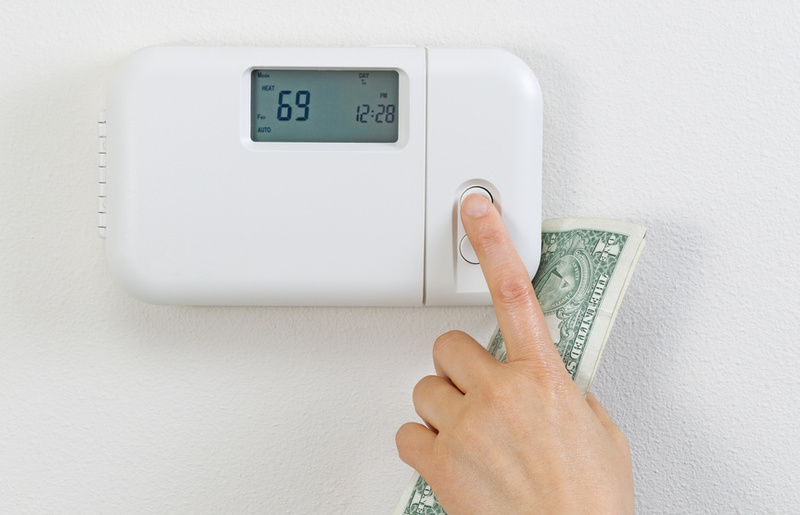 Your heating and cooling bill is one of the largest expenses you might incur throughout the year, especially in the summer and winter. HVAC uses a lot of energy which winds up siphoning money from your banking account like a hose to a drain. When you want to save a couple bucks on your HVAC bill, try these tips to lower your bill and improve your home. Drapes and curtains are simple pieces of fabric, but this layer of protection works wonders against the elements. Whether or not you have new windows, a great pair of drapes can help moderate the temperature of your home with ease. It not only prevents air from escaping through cracks in your door and window, but it also prevents any unwanted air from getting in. By working as another layer of insulation, you can rest easy knowing your home looks great and isn’t as drafty. If you’ve been using the same old ceiling fans that were installed back in the 90s, you’re overdue for a new look and better energy efficiency. Ceiling fans work to circulate the air in your home. Not only does this mean it’ll help distribute cool air throughout your home, but they can be used to whisk hot air up and away from your guests. Just be sure to rely on the best residential electrical contracting to ensure your electric work is up to code. Luckily, there are experienced electricians, like the Bosworth Co. to rely on. It’s not uncommon for homeowners to hate the look of their attics, especially if they have outdated or ugly insulation. Revamp the look of your attic with new residential attic insulation and get the look you’ve always wanted in the draftier areas of your home. Did you know two-thirds of all homes in the U.S. rely on air conditioners to keep their homes cool? Instead of relying on a window unit, however, you should think about upgrading to a sustainable, energy-efficient HVAC model today. Not only will this get rid of the unsightly air conditioner planted in your window, but it will also lower your electric bill in the process. When you want the best in electrical contracting, HVAC installation, and residential attic insulation installation, rely on The Bosworth Company. It’s worth the call. Always.